Sun will enter in Sagittarius sign on 15 December at 8:54 PM. Auspicious work cannot be done. This situation remains for one month. It is also known as Dhanu Kharmas. However, one can do auspicious work when Sun enters in Capricorn. It is inauspicious to do marriage and marriage related work. It is inauspicious to construct new home and property relates work. It is inauspicious to start new employment and business. It is also inauspicious to do Drigaman, Karnvedh and Mundan. One can do love marriage during this time. One can continue their regular work. One can also do Simmant, Jaatkarm and Annprashan in this month. One can also do Shradh at Gaya. Aries – Luck will increase and financial condition will improve. Taurus – They might face bones and health issues. They might relocate. Gemini – They might face problems in marital life but they might get good job. Cancer – They might face eye problems. Avoid tensions in family. Leo – They will get progress in career. Financial condition will improve. Virgo – They might get new job. They might face unnecessary conflicts. Libra – You might go on foreign journey. Take care of bone problem. Scorpio – You will get success in career. You might get new responsibilities. 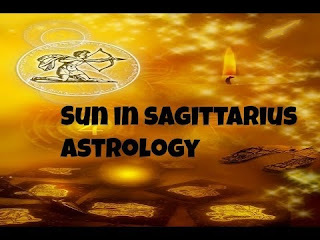 Sagittarius – Your luck will support you. You will get promotion in job. Capricorn – You might face eye and blood pressure problem. You might go on small journey. Aquarius – Your domestic life will improve. You will start new work. Pisces – You might change your job. Your anger will increase. Offer water, mixing turmeric to the Sun. Chant Vishnusashstraname. Wear copper ring in ring finger. Start your day having jaggery. Keep your head facing east side while sleeping. Remedy: Eat green anise before leaving home on Wednesday. Use light fragrance. You will get success in every work.